Hello friends! Thank you for visiting our website. Thank you Colorado Springs for embracing Rhea Lana's! I would like to share with you why I wanted to bring such a great event to Colorado Springs! My husband and I are both natives to Colorado Springs. This is the place where we grew up and developed strong and lasting friendships with many people. My husband, Trevor, and I have been married for 18 years and have 2 wonderful (and very active) children, ages 5 and 8. 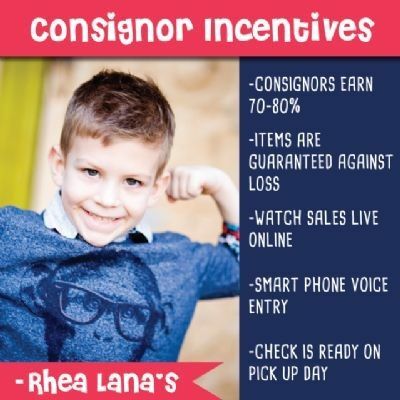 As a consignor and shopper myself I appreciate how this event allows me to sell the quality items my children outgrow and make money in the process. I am able to find GREAT quality clothing and toy items for them for each season. I am amazed at the deals I find and the great name brands available! For all these reasons and more, I wanted to share this with my hometown! 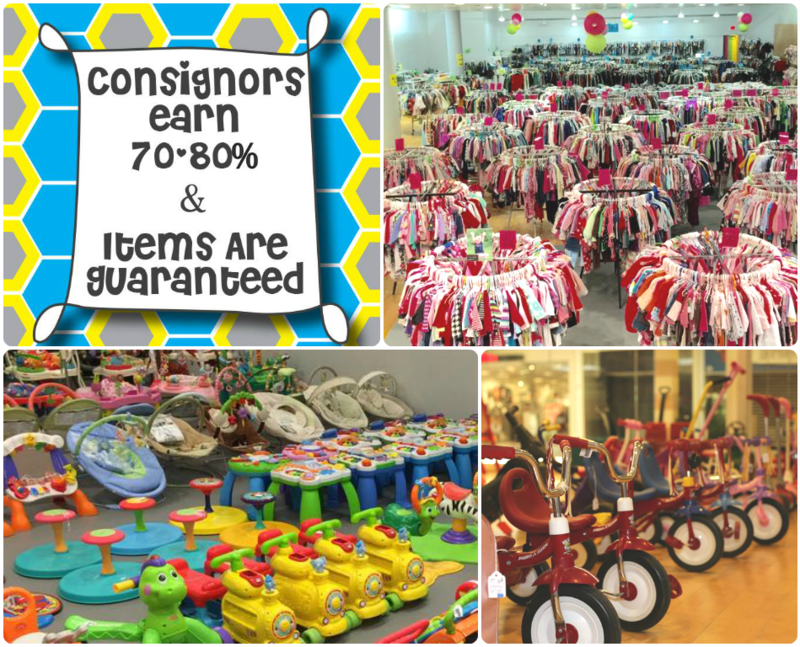 I hope you will consider being a part of our consignment family! I would love to hear from you. Feel free to contact me at kristy@rhealana.com or 719-201-0407. Rhea Lana is a mom who lives in Conway, AR, and began her business there 16 years ago. 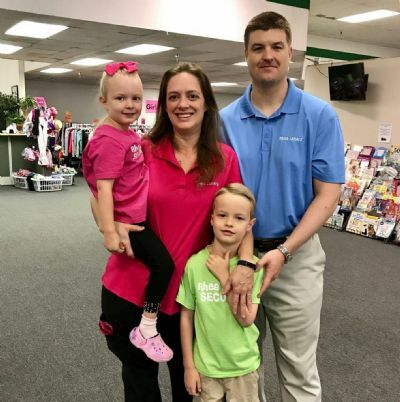 When her children were small she realized there was a great need for moms to sell their children's clothes for a fair price - and to buy excellent quality children's clothing at affordable prices. Over the past 16 years the sale has taken off as moms everywhere realize the value of Rhea Lana events. We have fine tuned so many things and we stay on the cutting edge of the industry.